Bedford Heights, Ohio (June 12, 2014) – Halloween has a way of bringing out everyone’s inner ghoul and goblin. With every costume and/or party, comes intense thought in creating tricks and treats that will surprise and scare. This year, Brand Castle, manufacturer of interactive baking kits, is pulling out all the stops and making families freak and shriek with its In The Mix® brand Brains! Cupcake Kit and Zombie Dance Party Cookie Kit, and Crafty Cooking Kits® brand Crispy Rice Pumpkin Kit. Brand Castle’s In The Mix® brand Brains! Cupcake Kit is sure to impress guests. The creepy cupcake kit features yummy vanilla cupcakes topped with gooey pink vanilla frosting, which creates the perfect scare piped as brains and served in the included skull cupcake aprons. This isn’t any old party, it’s a Zombie Dance Party. In The Mix® provides just what is needed to make rockin’ zombie cookies. These delicious sugar cookies are tinted green and feature four poses that really get the party started. The Zombie Dance Party Cookie Kit includes sugar cookie mix, vanilla frosting mix, green color powder, red and black icing pens, piping bag and four zombie cutters. The Crispy Rice Pumpkin Kit includes everything needed to make these mysterious pumpkins come to life—just add butter. The kit includes a 3D plastic mold to shape crispy rice pumpkins and included directions are easy. Families can also show off their amazing creations by taking a picture and submitting them to the Crafty Cooking Kits® website for the world to see. Best of all, the sweet and tasty memories of baking and family togetherness will last long after the Crispy Rice Pumpkin treats are gone! The Brains! Cupcake Kit, Zombie Dance Party Cookie Kit and Crispy Rice Pumpkin Kit can be purchased at Target, Walmart and additional retailers nationwide. Product samples for reviews and additional photos are available; requests may be made to the press contact. For more information on Brand Castle, and its In The Mix® and Crafty Cooking Kits® product lines, please visit www.brandcastle.com. Brand Castle is located in Bedford Heights, Ohio and was founded in 2005 by Jimmy Zeilinger and his wife Andrea. Brand Castle is the leader in interactive baking kits for consumers of all ages and offers an extensive selection of over 300 interactive baking kits sold under the brand names of Crafty Cooking Kits® and In The Mix® and other numerous licensed brands such as Disney, Hello Kitty® and Crayola. Brand Castle interactive baking kits can be purchased at well-known retailers like Bed Bath and Beyond, Christmas Tree Shops, Toys R Us, Cost Plus World Market, Target and Walmart. Brand Castle prides itself on providing consumers with high-quality, great tasting baking kits that create lasting memories shared between family and friends. 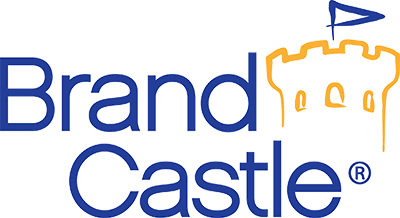 For more information regarding Brand Castle’s product line and opportunities, contact Jimmy Zeilinger at 216-292-7700 or e-mail him at jimmyz(at)brandcastle(dot)com.